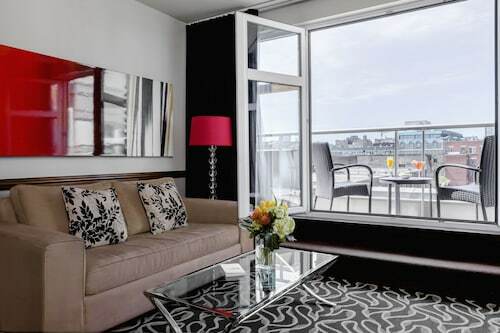 Amazing boutique hotel in the center of Old Montreal! Very beautiful and clean room. Very comfortable bed. Stuff is very friendly and welcoming. I would definitely stay here again. 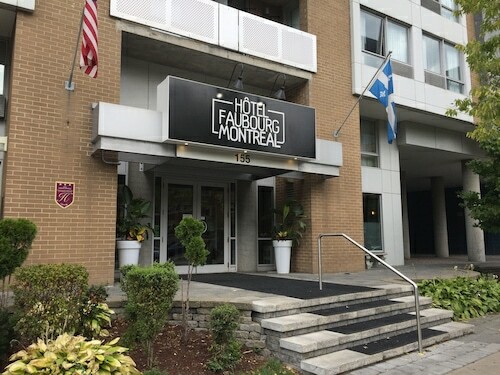 The location of this hotel to Old Montreal was very convenient...you just step out of this hotel into this wonderful old French Canadian atmosphere. The staff was very accommodating and helpful. Great location and very clean. My room was quite small but efficient. Also close to the Old port/Old Montreal and Notre Dame Basilica. 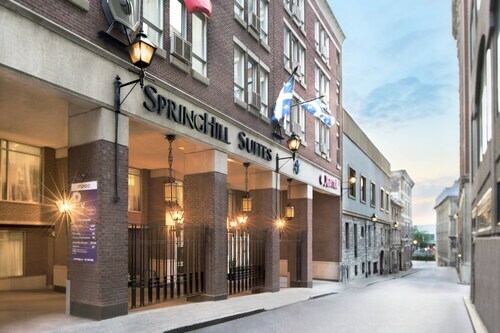 hotel is well located near Old Montreal and downtown, easy walking distance to shopping on St Catherine Street as well as Notre Dame Basilica in Old Montreal. It's location is a 2 minute walk to Notre Dame Basilica and numerous restaurants. The location was excwllent to access the Notre-Dame Basilica. Absolutely gorgeous hotel that is right next door to the Notre-Dame Basilica. Notre Dame Basilica is located in a vibrant area of Montreal known for its stunning architecture and popular art scene. The neighborhood is home to 434 hotels and other accommodations, so you can find something that works for your stay. After you've visited Notre Dame Basilica, you can explore the sights within a couple miles of the area. You might want to spend some time browsing the exhibits at Montreal Museum of Fine Arts, Montreal Biodome, or Montreal Science Centre. Sights like Old Port, Phillips Square, and Saint Joseph's Oratory are must-sees while exploring the area. You can catch a show at Place des Arts, St. Denis Theatre, and Centaur Theatre. If you want to see more of the surrounding area, you might plan a visit to Old Port of Montreal and The Underground City. Sainte-Catherine Street is also located 0.6 mi (0.9 km) from Notre Dame Basilica, and McGill University is 0.8 mi (1.3 km) away. With so many ways to get around, seeing all of the area near Notre Dame Basilica is simple. Nearby metro stations include Champ-de-Mars Station, Place d'Armes Station, and Berri-UQAM Station. If you're taking a train into town, Montreal Central Station and Montreal Lucien-L'Allier Station are the closest stations to Ville-Marie.